Ice in the air, but the Humber flat calm and the Bishop of Hull thankful and surprised to see weather conditions kinder than the norm for the Lost Trawlermen’s Day Service. The Right Reverend Alison White told the congregation of a few hundred people she had never known it be sunny for the event, and she’d expected “horizontal rain”. Cue knowing smiles on some weather-beaten faces, many of which may well have been seen at each and every such service since it was introduced 30 years ago by STAND, the St Andrew’s Dock Heritage Park Action Group. Slight overstatement perhaps, but protection from the elements did enable STAND to display photographs of some of the sons of Hull and the trawlers which took them away. Visitors could dwell in quiet comfort and study the images of men and boys lost at sea, more than 100 of them yet still just a snapshot of the thousands who never returned. Among the youngest on the roll of honour was Henry Saunderson, aged 13, who reports say was lost after falling overboard from his father’s ship, the Cape Duner, during summer 1952. Richard Foot, aged 16, was lost with all hands on the Roderigo 90 miles off Iceland on 26 January 1955. 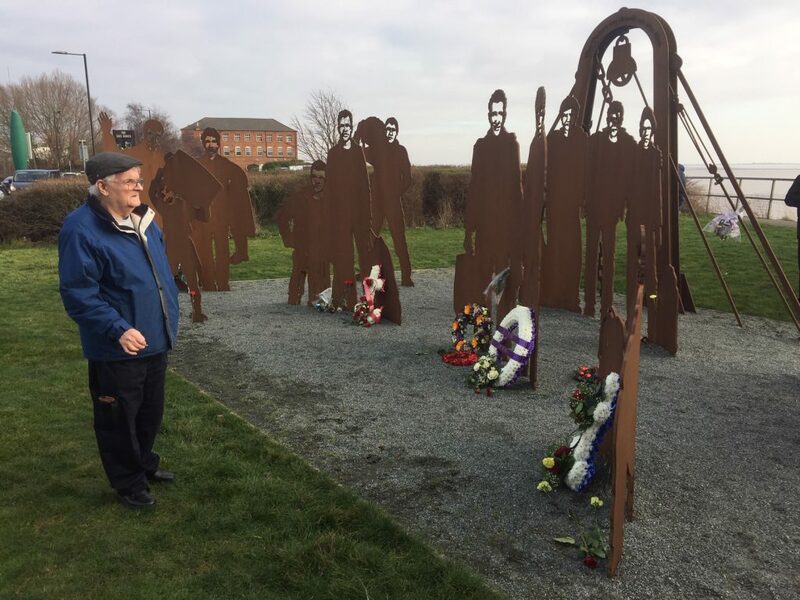 John Walker, 19, was on the St Romanus when she went down in January 1968, a time when the loss of the Kingston Peridot and the Ross Cleveland completed the triple trawler tragedy, one of the city’s darkest episodes. Robert Brown was 37 when, in July 1944, he died with 11 crewmates after the ship on which he was chief engineer, the Rochester, hit a mine in the North Sea. As if the job wasn’t hazardous enough already. The Bishop said: “Coming together over these 30 years for this occasion is of enormous importance. For some of us it’s about recognising that we are part of this place on the banks of the Humber that has drawn our folk to risk the seas in order to make a living. To be part of this place makes us proud. “For some it’s about honouring the men and the boys who were part of our communities and who worked, joked and endured alongside one another. And to some of us it’s about your personal tenderness, that sharp pain because someone you love could not be here themselves. Ron Wilkinson, Chairman of STAND, told how the event has progressed during the last 30 years, sometimes attracting 600 people. Alan Johnson, the former Hull West and Hessle MP whose current roles include patron of the campaign to bring the Viola trawler back to Hull, said he had been involved with STAND for two-thirds of its history, starting when he attended a Hessle Road reunion not long after his election in 1997. He said his only regret was that he had never experienced Hessle Road in its heyday, but he was encouraged by the City Council’s plans for a maritime heritage attraction which will feature the Arctic Corsair and hopefully the Viola. Outside, the old dock area was bustling again. In the retail warehouses you can buy beds, sofas, technology, stuff for your pets and all things DIY. But in the marquee the voices fell quiet, instructed by the pipe of the TS Iron Duke Hull Sea Cadet Corps to observe a minute’s silence. 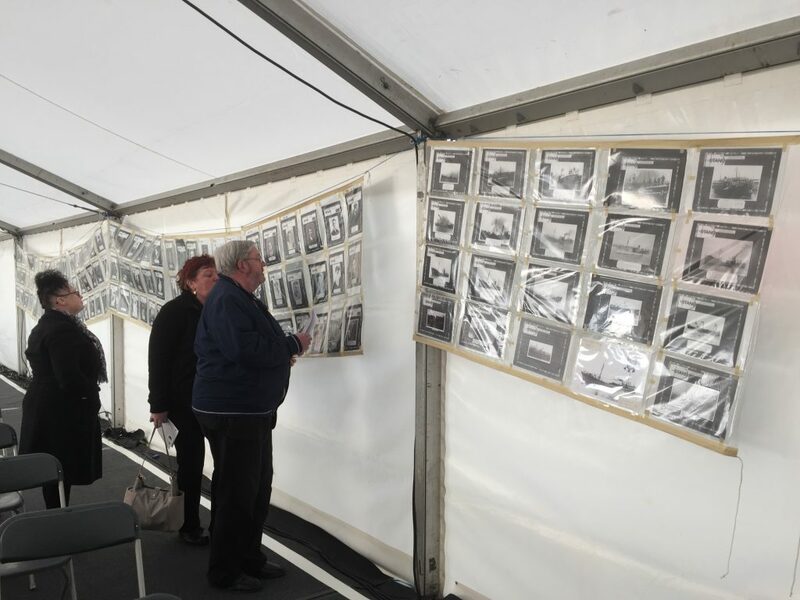 It was a time to gaze at the photos of the lost trawlermen, to remember again the earlier performance by the choir from Chiltern Primary School, and to consider the words of William Whiting and Mary Denness. Where have you gone to Billy Lad? You’re somewhere out there with your dear old dad. Be the first to comment on "STAND still strong after 30 years of togetherness"